Honey Bee Trim Tray 100 Micron Tray Top - FREE Shipping! 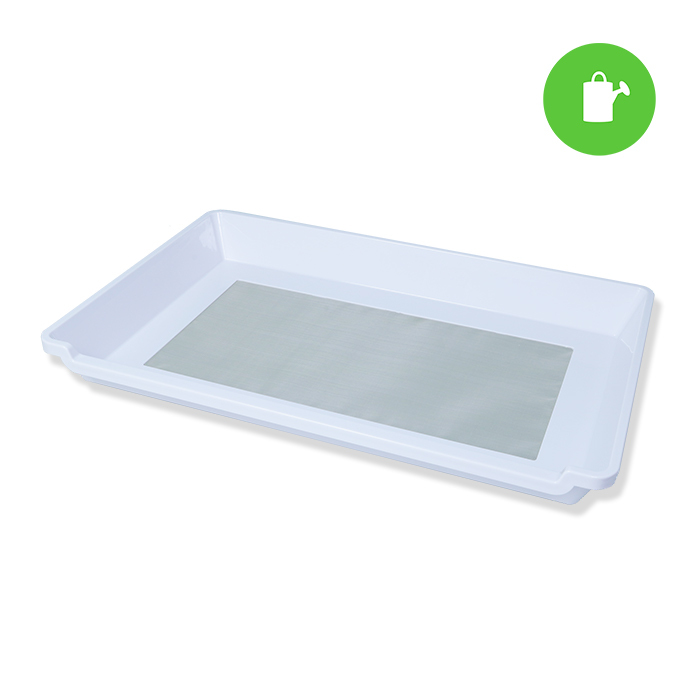 The finest screen 100 micron & standard screen 150 micron features the top tray design. The Micron Trays will fit onto the Honey Bee Base Tray, or under the Yellow 150 Micron Screen on the base Tray. The Black 200 Micron Tray will fit onto the Honey Bee Base Tray, or on top of the Yellow 150 Micron Screen on the base Tray. Choose from the finest screen at 100 micron, a standard screen at 150 micron or the widest screen at 200 micron stainless steel screen. 7.125 square inches more cutting surface than competitors. Made for sifting pollen off manicured flowers.